BOSTON — It all restarts in October. For many of the Yankees who struggled this season, the postseason served as a new beginning; an empty slate. Especially for Gary Sanchez, this couldn’t have been any more accurate. Tonight, it was the much-maligned Yankee catcher that provided the thump for his team today, going deep twice and driving in four runs. And to add to that, he wasn’t alone. 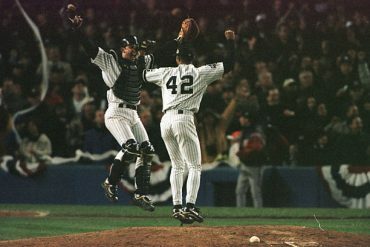 In essentially a must-win game for New York, Aaron Boone’s entire squad showed up tonight as the Yankees evened up their ALDS series with the Red Sox at one game apiece, after a convincing 6-2 win at Fenway Park. While Sanchez led the way on the offensive side, his battery-mate, Masahiro Tanaka, was equally as good from the mound. Credited with the win, the Japanese right-hander pitched five stellar innings, giving up just a run on three hits, while striking out four Boston batters. The lone damage done against him was a fourth-inning solo shot from Xander Bogaerts, that was crushed to deep in center field. Contrasted to his opposing starter, however, Tanaka was definitely the man tonight. David Price, who’s known to struggled in the postseason and against the Yankees, was unable to get out of the second inning of this Game 2 Boston loss. 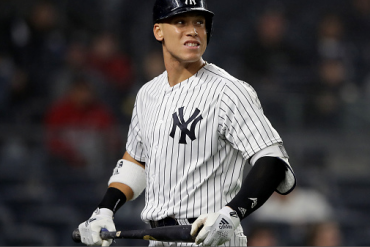 Like he has in the other two New York playoff games, Aaron Judge homered, as he greeted Price with a shot that went deep over the Green Monster in left center field. This visibly rattled Price and gave the Yankees the confidence they needed to bring home this victory. Then, in the second inning, Sanchez hit the first of his two homers as his success against Price continued. While people were questioning Boone’s decision to move him up the line-up to the fifth spot before the game, there was definitely no one sharing that sentiment after this performance. After a few more walks to the bottom of the order and an RBI-single by Andrew McCutchen, Price was chased from this ballgame after just recording five outs. With the game still remaining close entering the late innings, New York continued to look for insurance. In the seventh inning, they finally found some. Facing Eduardo Rodriguez, Judge led-off the frame with an infield hit, after the pitcher did not hustle to cover first base. Luke Voit then reached on a walk, before controversy on a replay challenge followed on a force play on a grounder hit by Giancarlo Stanton. After Voit was called safe at second, the Red Sox challenged the safe call. While there seemed to be no solid evidence available to overturn the call, Voit was called out, but the Yankees still had men on first and third, and still just one out. Now, with Sanchez at the plate, he surely felt the desire to deliver the final blow after an incident earlier in the game. Against Ryan Brasier, he was told to “get back in the box,” after the catcher stepped out a few times. 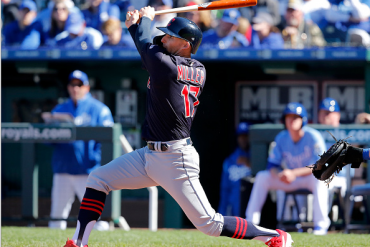 Though he did not deliver in that plate appearance, he made damage this time. Sending a ball 479-feet, Sanchez doubled up the Yankees’ run tally with a monster three-run home run that left no doubt as soon as it left the bat. Still, though, the Red Sox still had nine outs to rally back. The Yankee bullpen had different ideas, however. While Dellin Betances gave up a run in two innings, Zach Britton and Aroldis Chapman put up 0’s in their one-inning appearances to close out Boston. This improved New York’s bullpen performance in this series to 10 great innings of one-run ball. 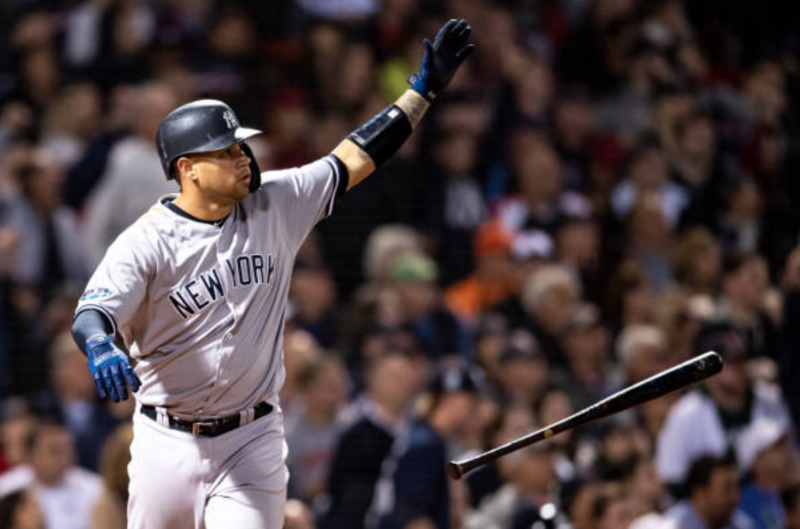 Though the Yankees had a knack for coming back in last year’s postseason, they all knew they did not want to go home down 2-0, especially against a team like Boston. 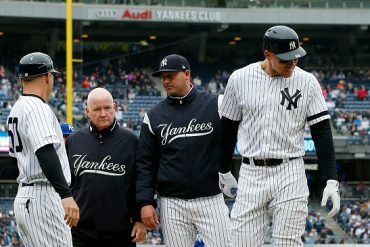 Now, they have a chance to close it out at home with Games 3 and 4 set to be played at Yankee Stadium. Notably, Brett Gardner batted ninth and played center field in place of the injured Aaron Hicks. 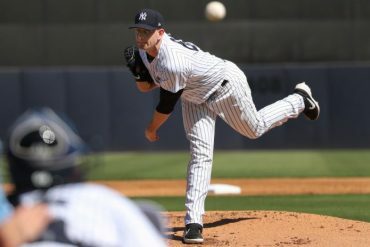 Boone said before the ballgame that Hicks was available if needed, but the Yankee offense allowed their manager to give their centerfielder the day-off in Game 2. 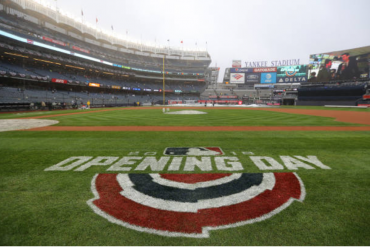 The teams have an off-day tomorrow, and will reconvene at Yankee Stadium on Monday night, with Luis Severino’s opponent yet to be determined.